Sometimes a trip changes everything. In 2002, after retiring from their professional careers, Judy Sanderman and Dennis Wilkins fulfilled a promise to visit a friend in Ethiopia. It was on this trip that they met Awoke Genetu, a tour operator and a former high school history teacher, who served as their guide while traveling in the north. On a stop in the countryside where Awoke grew up, curious school children gathered around Judy and Dennis. Awoke talked with the children and translated their questions for Judy and Dennis. The children were very bright and very eager to learn. But, as Judy and Dennis learned from Awoke, many parents were too poor to afford the loss of their child ’s labor for the family, the cost of a uniform, or the price of a pencil and notebook. Returning to the U.S., Judy and Dennis reflected upon the tremendous need they encountered on the trip and decided to send Awoke $300 to purchase school supplies for a rural school. He accounted for every penny spent, including receipts and photos, for 25 student uniforms, 86 books, and teacher supplies. Even regional school officials came for the ceremony to present the students with uniforms and the faculty with supplies. With that, Judy and Dennis were “hooked ”! 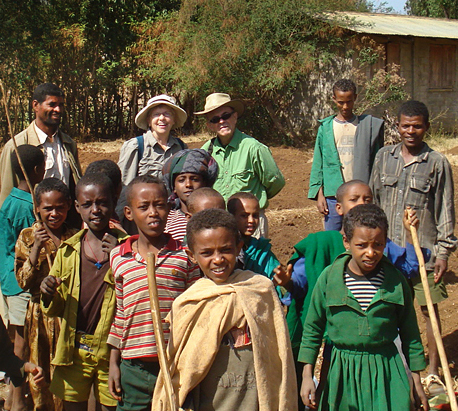 After raising an additional $2,800, the couple eagerly returned to Ethiopia in early 2005 to purchase benches for 1,000 students, more uniforms, vision care and glasses for those with severe problems, and school supplies. On this second trip, they learned there was no source of clean water for the children at that school. As the news spread among their friends of the need for a school well, many stepped forward wanting to support this project and the donations arrived soon after. It was at this point that Judy and Dennis realized that if they asked, people were willing and even eager to share. 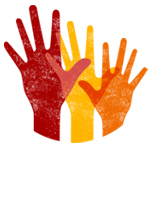 Thus began Project Ethiopia, a voluntary project in Ethiopia, and from 2005 – 2016, a charitable service project of Judy and Dennis ’ Seattle church, Interfaith Community Sanctuary. Over the next 11 years, Judy and Dennis made an additional 5 trips to Ethiopia to partner and work with Awoke and his brother, Workineh Genetu, who continues to farm in the Dangla area. Paul Henderson, a former Board member, joined Project Ethiopia in 2007 and made 4 trips to Ethiopia to learn about and support project work. In 2012 he facilitated a retreat which clarified the mission and approach of Project Ethiopia and a 5-year path forward. Today, Project Ethiopia is a stand-alone nonprofit working and collaborating with an ever-increasing number of villages and families. Our work has impacted school children, rural families, farmers, and entire communities. Judy and Dennis say being “old ” (in their 70s) and the fact that Dennis has Parkinson ’s were a great asset in their efforts to work in partnership with local villagers. Rural Ethiopians, whose life expectancy is around 52, would often say, “You are old and could just stay home and have someone feed you —and yet you come here to help us. ” Their gift of compassion, humility, and generosity knows no age and continues to ripple throughout the Dangla area and beyond.